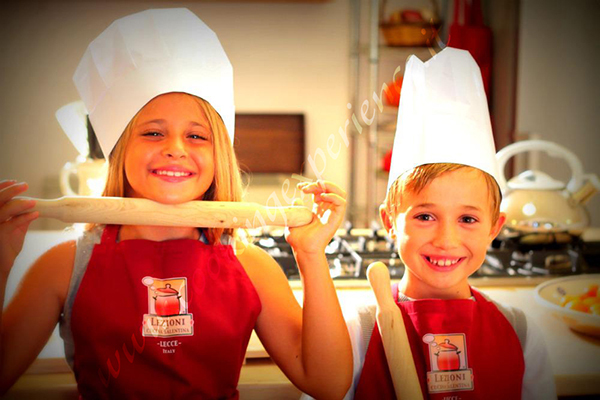 Our cooking school, Cooking Experience, organizes at its headquarters in Lecce, in the heart of the Baroque, an ‘interesting series of courses for children titled “Little Chefs”. The tasty appointments will take place on Saturday or Sunday, from the month of October. The initiative, in addition to being a time of play and aggregation, stands as also aim to raise awareness of and appreciate the food to the little chefs. This is an activity designed as a real creative workshop where children can try their hand in the preparation of simple recipes, to get closer to the world of cooking and healthy food by putting their little “finger in the pie.” These workshops seek to promote the emotional value, educational, sharing and great fun “cooking together.” Children develop their manual skills and creativity, but above all strengthen their self-esteem: they experience food not yet known and enter into confidence with the food through the 5 senses, as indispensable tools to detect all the information coming from the body and from the outside , representing a large and valuable help to become a more complete person and aware of the relationships that bind us to the food, to the territory and health. During the lessons, the children, under the careful guidance of the chef and an entertainer, can engage in the preparation of simple recipes, using local raw materials and products km0. With dexterity and creativity, they will follow chef Gianna during the preparations and take home what they will cook in the kitchen. In particular, the smaller will prepare: Salento typical pasta shapes and decorated cookies, wholesome treats for snacks, pizzas, mini birthday cakes. 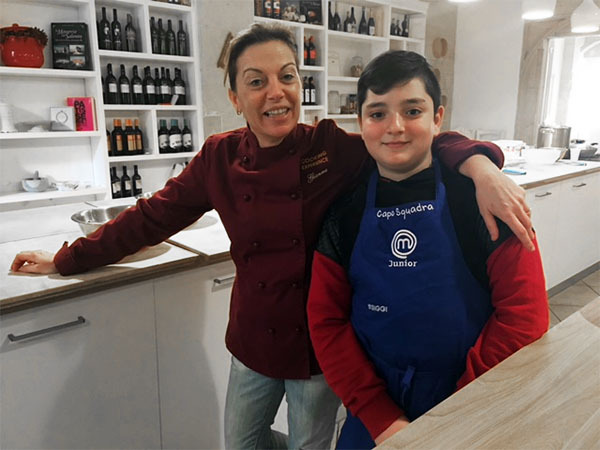 For older children, the lessons include visits to the market, the preparation of recipes and dishes of Salento cuisine, with the use of pots and pans. During such meetings it shall be given, however, ample space to the local culture (anecdotes, proverbs, “pinches”), so that, even among young people understand the importance of the recovery of their roots. The school is among those included for the selection of Junior Masterchef Italy. Talent which took part in 2015 our little chef of Lecce Rodolfo Cazzato, with a performance worthy of a real chef. Gianna chef is ready to welcome new talent to prepare and submit to the selections of the new editions. Please contact the school for updated programs, cost and availability. Little Chefs offers the opportunity to realize a unique birthday party, inspiring, entertaining and educational, that will leave to small and invited to the birthday an unforgettable memory of the past day, in addition to a manual skill in cooking they will use forever. To meet your needs and satisfy the most of the expectations of your child, you only need to tell their age, date and time of their party and we’ll do the rest, turning Cooking Experience’s kitchen into a beautiful colorful location for their party. The young chef will invite their friends to share an afternoon of small “hands-on” to enjoy together cooking, decorating, creating fragrant delicacies and sharing food, laughter and a snack very special and especially prepared from them! Pizzas from stuffing and bake, cupcake with a thousand flavors to be decorated with sugar paste and food beads! 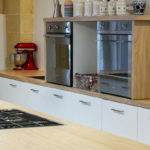 This is the cooking party hosted by Cooking Experience: lots of fun but also a chance to learn techniques and recipes to be repeated at home with mom and dad! Menus are many and all different, each process involves different techniques and materials so that guests celebrated and never feel the weight of the hours spent working on the kitchen counter, but feel part of a happy brigade. During the summer you can enjoy the outdoor garden. 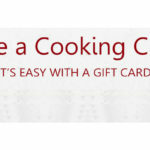 Each participant will be provided with apron and chef’s hat. The school offers drinks, all materali and the necessary tools and, to order, also a beautiful and delicious cake. Happy birthday little cooks !!! !